Sophos was recently named a leader in the 2018 Gartner Magic Quadrant for Endpoint Protection Platforms. Such recognition comes with prestige and publicity, especially since a majority of CIOs and other professionals use Gartner’s research to help determine which products and services to purchase. Since the dawn of PCs and the Internet, variations of Gideon Gartner’s reviews have been the authority on IT trends and vendor analyses. The Magic Quadrant was introduced in 1994, arranging select vendors on a visual, two-dimensional plain with “completeness of vision” labeling the horizontal axis and “ability to execute” on the vertical axis. The chart is divided into quadrants, allowing vendors to rank in four categories: “niche,” “challenger,” “visionary,” and “leader.” The annual graph and accompanying review on endpoint security platforms surmise over 150 reports, which include in-depth data collected from customers and vendors. Over the years, various individuals and businesses have sought to usurp Gartner’s reign due to a number of allegations. 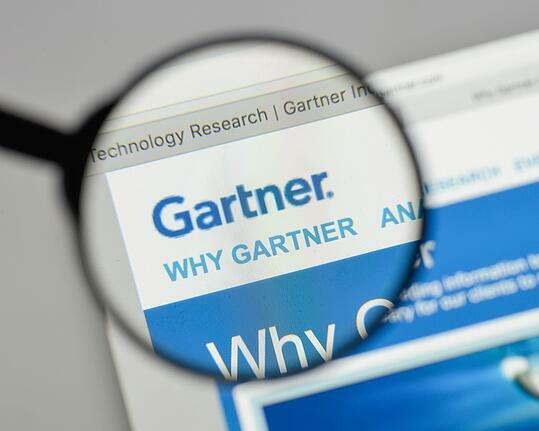 However, given Gartner Inc.’s team of over 1,900 analysts, its continued success and its established authority in the field, it doesn’t look like Gartner Inc. is going anywhere. But would we really want it to? Let’s consider a few arguments on either side. The Magic Quadrant oversimplifies data. This argument states that the four categories represented in the Magic Quadrant can be described as broad at best. While Gartner Group encourages users to consider each vendor within its own category, and according to its own specialized strengths and weaknesses, the total absence of other companies from the graph does seem to suggest that they aren’t worth considering. In addition, the coveted spot in the top right quadrant (leader) enforces the idea that, regardless of a company’s individual strengths and weaknesses (and abilities to meet unique business needs), there is one supreme vendor that all endpoint security users ought to consider. It is no longer a fair assessment of the market. In 2017 a new Gartner Magic Quadrant criteria was added to the mix. For businesses that offer endpoint protection to be considered for this review, they must have a minimum annual revenue of $40 million. However, for companies making between $10 million and $40 million, they need to show a year-over-year (YOY) growth of 50%. While revenue can be an indication of success, it is not necessarily an indication of quality services and products. Gartner is too big to be bothered. Especially since 2017, small businesses’ chances of getting Gartner’s appraisal are slim. This means large companies who are listed in the Quadrant get more plump while smaller businesses are left fighting against all odds. Those critical of the Magic Quadrant argue that the review does a poor job analyzing future trends because it fails to consider up-and-coming businesses, thus, perpetuating small businesses’ almost impossible ascension. With so many options, how else can professionals differentiate? The Gartner Magic Quadrant offers a way for professionals to sift through the products and services available, like those offered by Sophos. Gartner sets a benchmark and creates a podium for recognition. The benchmark is imperfect, but it does establish accountability for endpoint protection platforms. The Magic Quadrant challenges tech companies to work faster and harder than the bad guys, the ones who create malware and hacking systems. Every analyst group will have a bias. Gartner’s goal is to highlight the companies that are seemingly fit enough to evolve with the ever-changing market. That is their bias. Other analytical groups would work off of a different bias which would attract different critics. It’s likely that Gartner Inc. will continue to be the definitive voice in IT advancements, companies will continue to compete for Gartner’s recognition and professionals will keep looking to the Magic Quadrant to summarize the market. In the meantime, Hummingbird Networks will just keep selling the brands we trust and offering the service customers deserve.